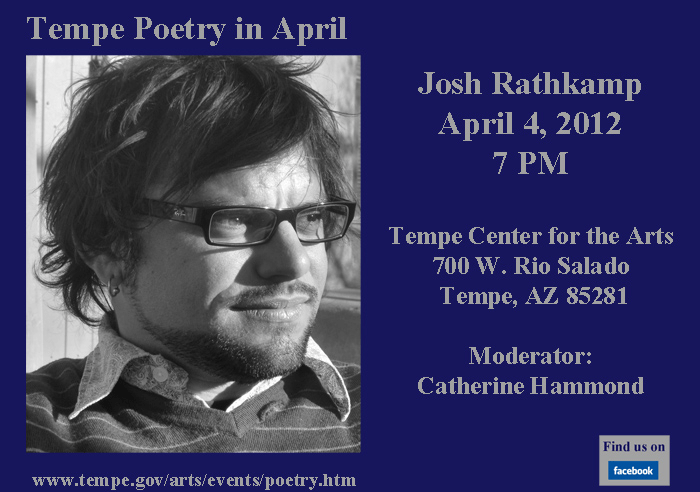 Superstition Review Contributor Josh Rathkamp will be reading in the Tempe Poetry in April Series at the Tempe Arts Center. Before you go, read his poems in Issue 3. We got another AWP Twofer. 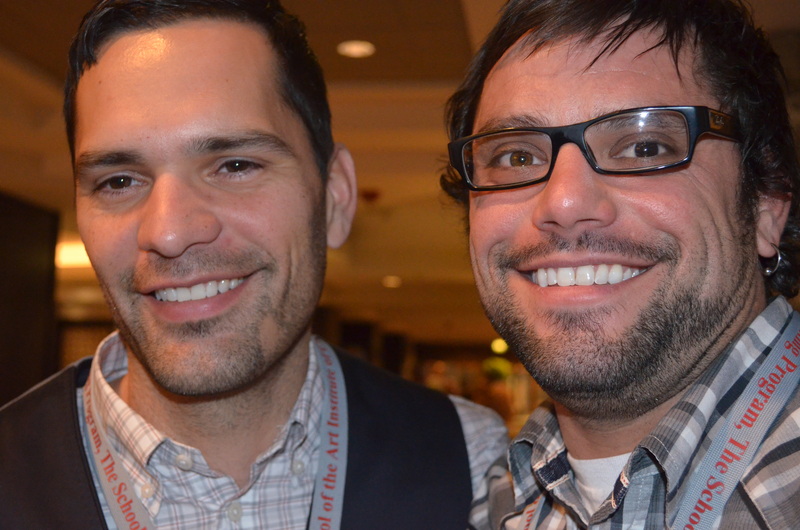 Here are Miguel Murphy from Issue 8 and Josh Rathkamp from Issue 3. Superstition Review — Second Reading. 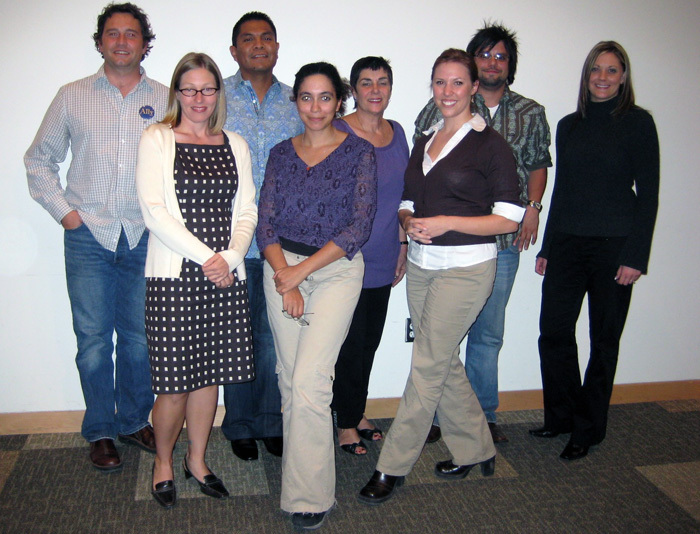 Thank you all for attending the second reading in SR‘s reading series this Monday. We had some excellent writers in attendance, and in addition the audience turn out was also quite good. 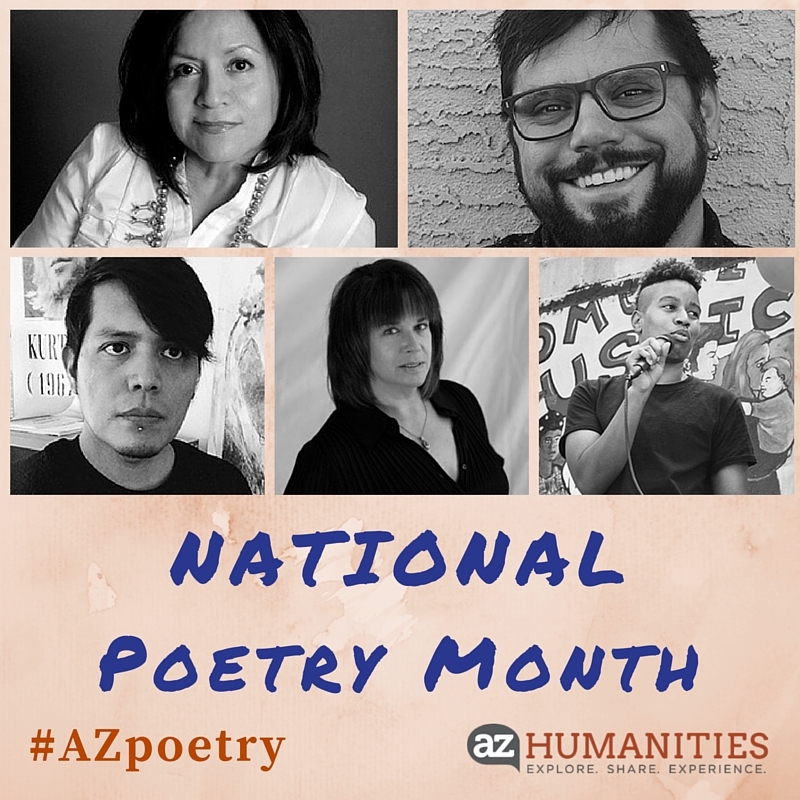 This included Lois Roma-Deeley (Paradise Valley CC, poetry), Patrick Michael Finn (Chandler-Gilbert CC, fiction) , Josh Rathkamp (Mesa CC, poetry), and Hershman John (Phoenix College, poetry). 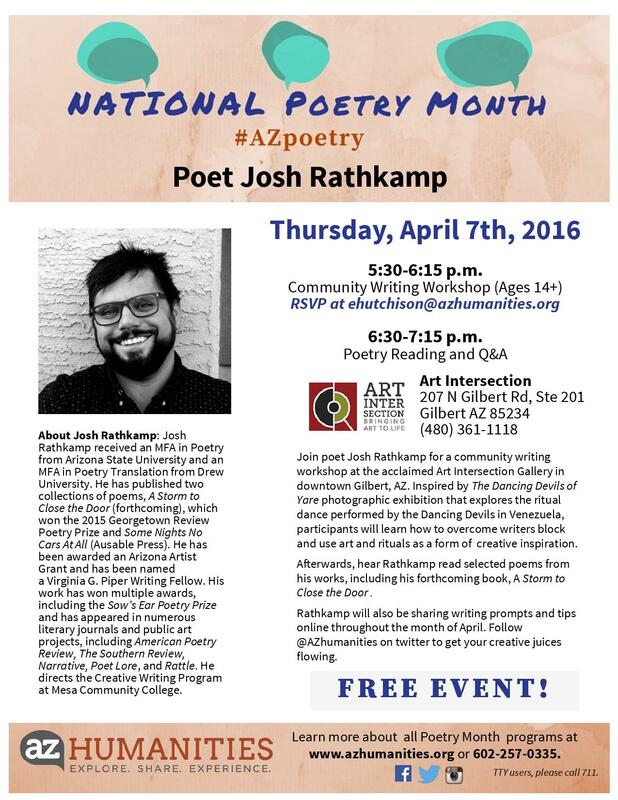 Our next reading will involve writers who are currently attending Arizona State University. Please note our final reading in the series is November 17th. Please keep reading to see more photos of our participants.